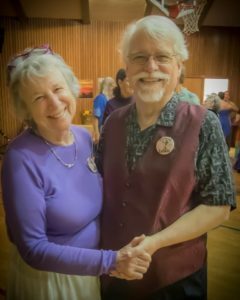 Craig began contra dancing in the late 1980’s in San Luis Obispo/Santa Barbara. 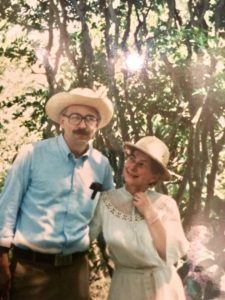 He met his wife Elaine international folk dancing and after they married took up contra dancing with a passion. They raised both their daughters in the dance community and value how this community embraced their family. 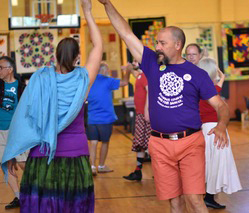 He began English country dancing about 5 years ago and enjoys sharing ECD with his contra dance friends. You’ll also find him on the fringes of camp song circles and square dancing with the Redwood Rainbows in Sebastopol. 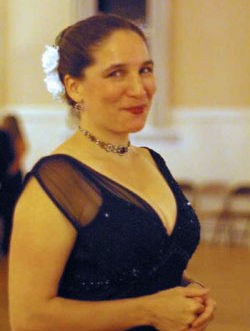 I contra danced as a girl in Belfast, Maine and again in college in Boston. In 2014 I started dancing again with great joy, happily feeling the community energy, making new friends, and traveling to dance weekends. Since my first experiences with contra were at family dances, I’ve started a family dance series in Sebastopol to introduce contra to the next generation. I have always loved music and dance. I met my wife Celine at the weekly Balkan dances at the Mandala Dance Hall on Taraval Street in San Francisco back in the early seventies. 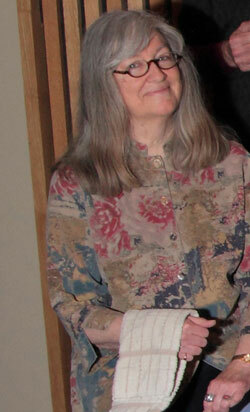 Now, my wife suffers from dementia and is living in a care home, but I continue to enjoy English Country Dance. It is flirtatious, it is pleasurable, and it does not require a lifetime of study. And the baroque music is nothing but lovely. Dance, like playing music and like listening to music, is, in my experience, a life prolonging and curative human experience. Live to dance, and dance to live! I hope to be helpful in my new role on the NBCDS Board. I have been seriously dancing since 1993 and went to my first dance camp in 1996. 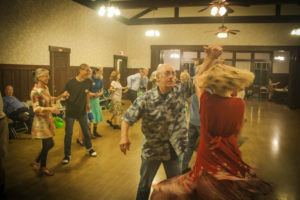 My favorite thing about contra dancing is what I tell beginners: contra dance is fun if you do it as called and it is more fun if you screw it up; so just relax and enjoy the ride. My favorite dance hall is Monroe Hall. I have a personal relationship with the past two owners who both bought the hall to preserve its place in our community. I helped the previous owner oil the dance floor and helped the new owner in replacing the dance floor. I love how our community is nationwide. Last year friends who used to live here and were on the NBCDS board but now live in Asheville, NC and I went to the dance featuring the Clayfoot Strutters and George Marshall at the Guiding Star Grange in Greenfield, MA. 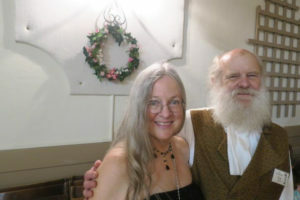 We were delighted to find our dance gypsy friends from Sacramento, Susan and Jim Stratton, were there too! I used to bring my young son to dances, along with a pillow and a blanket and a book or two. After watching for a while and often having another dancer read him, say, one of the Tintin books, he’d curl up and go to sleep off in a corner. Now he’s a guitar player who played contras in LA with a group called Paddy’s Pig before he moved to NYC. 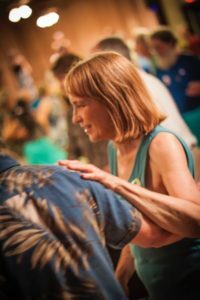 I’ve been contra dancing since 2000. I love the people and the music. ​There are plenty at every dance, but now I take them for granted. 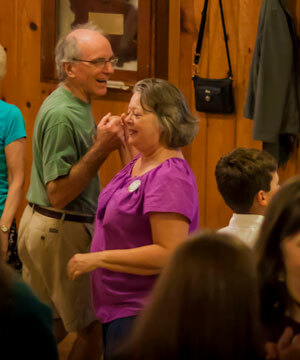 When I first started contra dancing, I had so many funny/heartwarming experiences that I would laugh all the way home. 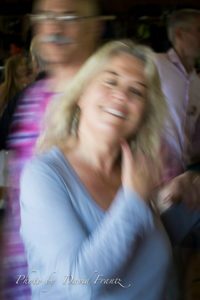 Many times, by half-way through a dance, my jaw would ache from laughing and smiling so much​. What more can you ask for? 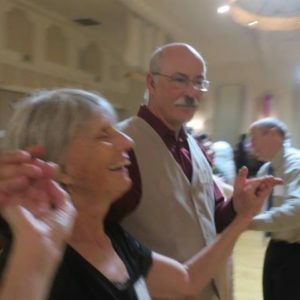 Tom has been managing the Petaluma Contra dance for over 15 years, and he is fun to dance with! 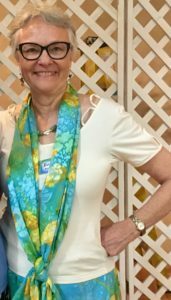 As manager Karen has these words for newcomers: Contra is probably the very best dance you can do as a newcomer to dance because it is so easy – you don’t need to keep the beat perfectly or really know anything and beginner lessons are free before each dance. You will absolutely NOT find a better group of people to learn with – the people are warm and welcoming. It is a great workout. It is just a ton of fun. It is very inexpensive for a great evening out. Manages the Santa Rosa-based carpool to local and regional dances. Also helps with Epicenter and Faultline Frolic in general and coordinates housing for out-of-town attendees. 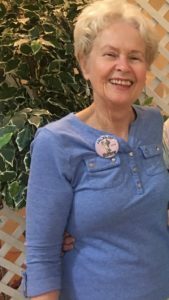 Her favorite things about contra dancing? “Dance weekends including the people I’ve met there for years. 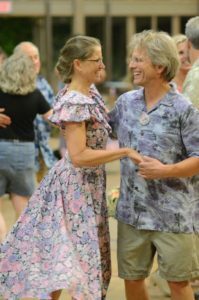 I have enjoyed volunteering for the two weekend dances we do here each year. It’s fun to prep food and chat with people in the kitchen, or other tasks. I’ve gotten to know many dancers from all over California and beyond. 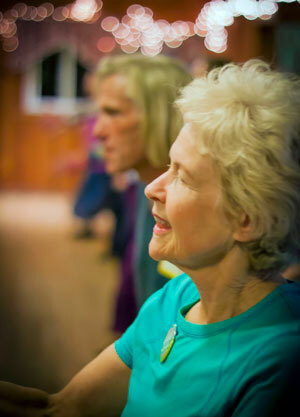 That led to encouragement from my friend, Elaine, to carpool with her to the Lake Tahoe area for a weekend dance. Now some of my happiest times are the five weekends or so I attend each year, carpooling around the state. Welcoming and gracious team for the Sebastopol series on Sundays, Mad Robin Ball committee and hosts. I was a manager for the San Rafael contra, and now I’m the programmer. 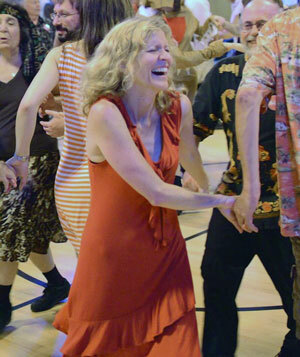 I went to my first contra dance years ago, but was only able to dance regularly when I moved to the Bay Area five years ago. I love the high energy and the sense of community. There are rare magic moments on the dance floor when the music, the calls and the dancers are all perfectly in sync, all connected, and creating something greater than the sum of the parts. The tune perfectly matches the moves, and the stomp of dancers’ feet on a balance creates percussion that augments the music. When we make eye contact, we are seeing each others’ souls. This, for me, is heaven. 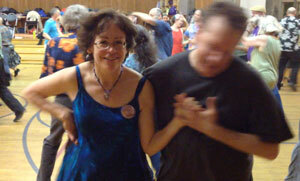 I started contra dancing in 1989 at Folklife in Washington. Feeling connected to hundreds of people, all dancing together to the incredible music, moving as one, connecting by hand and eyes… I’ve been hooked ever since. I have enjoyed traveling to dance camps and making friends across the country. 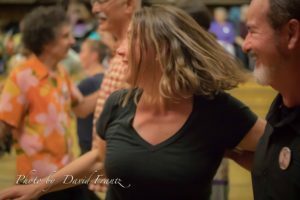 Contra dance has brought joy and community into my life. The volunteer work I do for NBCDS helps me feel like I’m giving back by bringing the opportunity for joy to other peoples’ lives.